Buderim artists Veronica Cay and David Green latest exhibition of drawings and sculptures exploring memory, myth and magic through adventurous pattern, vibrant colour, light and form. David and Veronica have been life partners for thirty years, sharing studio spaces and an arts practice that was predominantly textile based. No time for any lessons or tuition, painting scenes straight out of his memories of the bush that has been his life’s work. Australian nurses have been going to war for well over 100 years, but their important contribution to Australia’s overseas military operations often goes unreported. 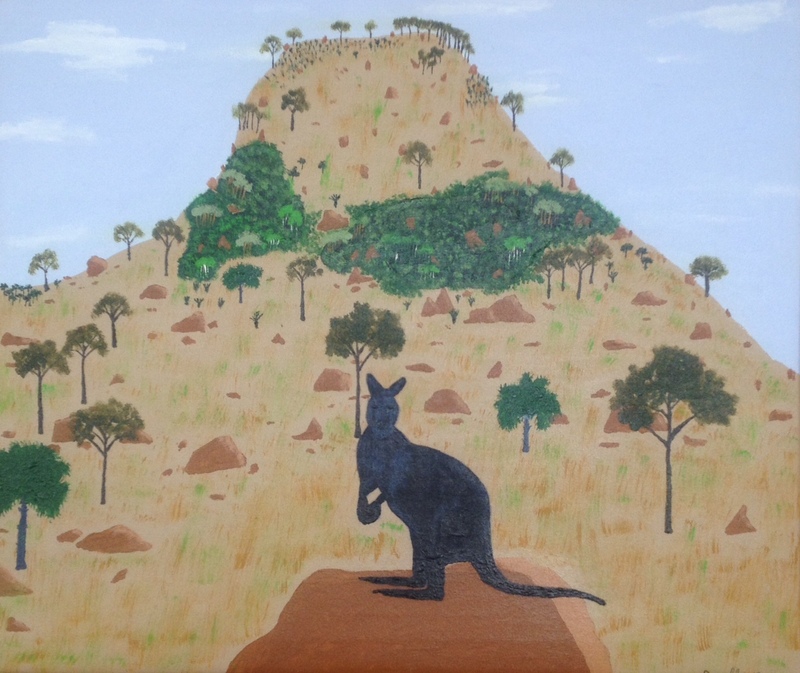 Nancy Hunt is from Narrabri and is bringing her artwork to Roma in a collection of sculptures, paintings, mixed media & drawings inspired by her experiences of living in rural and metropolitan NSW, and also time spent travelling overseas. A collection from Carol McCormack including an exclusive launch of the inspiring collaboration of local author Jock Douglas with Carol’s evocative art. Roma on Bungil Gallery proudly introduces its next exhibition, the National Portrait Photography Prize 2013. This is a National Portrait Gallery exhibition. The exhibit commences 7 February and runs through 9 March, 2014. A group show of creative textiles, jewellery and ceramics. Artists included Margaret Barnett, Laura Douglas, Rowly Drysdale, Jenny Fawckner, Sue Graefe, Fiona Hammond, Tarn McLean, Kathy Moon, Kim Noon, Phillipa Rooke, Meridy Scott, Tiffany Shafran and Kate Warby. A collection of masterpieces by local women not daily recognised for their artistic talent! They are invited to express their vision of Happiness. An Auction on opening night will raise funds for Pinaroo and the Royal Flying Doctor Service. In a world where economic interests are given more importance than human rights, 18 artists have found a peaceful yet powerful way to express their wish for the end to an unjust persecution through a return to traditional culture and values. Landscapes by ex-Roma artist Noel Miller. All the works in this exhibition have been influenced by Dorothea Mackellars iconic poem ‘My Country’. Hand carved and painted native birds by Queensland artist Ted Barraclough. Carmen Hannay explores her world with paint & pencil. Showcasing the innovation of our local 3D artists. A marvellously diverse collection of works, this was the first Exhibition in the Gallery for 2013 and ran from 1st March to 24th March.